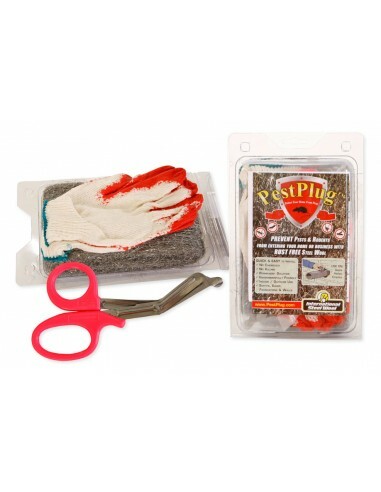 PestPlug Steel Wool is VERY effective in keeping rodents and pests out of homes and businesses simply because pests can not chew or burrow through the needle like fibers! PestPlug Steel Wool is made from a proprietary process that stitches multiple layers of coarse, stainless, steel wool / fibers together. Stainless Steel Wool is RUST FREE, and it is different than common steel wool as found in big box stores and/or soap pads. When properly installed, it forms a protective barrier that is virtually impassible by rodents, bats, scorpions, lizards, and other pests. Pestplug is very easy to install and is environmentally friendly so you do not need to use pesticides, chemicals, or poison! CAUTION: Always wear safety glasses and gloves when working with steel wool and cut steel wool with scissors, do not tear. Tearing steel wool can cause cuts even through gloves. Be sure that PestPlug does not come in contact with live electrical wires as this could cause electrical shock or fire. Do not install in electrical service panels or trays where wires are non insulated or exposed. Pestplug can be used around electrical wires or conduits that are fully shielded and no risk of electrical shock or contact with electricity is likely to occur or possible. Always consult an electrician if in doubt. To install, simply cut off the length needed to wrap around a pipe, to plug a hole or fill a crack. Once the piece is cut, simply compress the material and squeeze into the opening with your gloved finger or a screwdriver. A natural property of our stainless steel wool is that it will spring back to create a tight seal that will form around the pipe or fill in the crack. Use enough wool so that it can fit all the way in but is still very snug and not easy to pull out. Then, using any brand of common household caulk, fill the hole around the steel wool. This will harden and help keep the wool in place, preventing even the most pesky of mice from dragging it free. 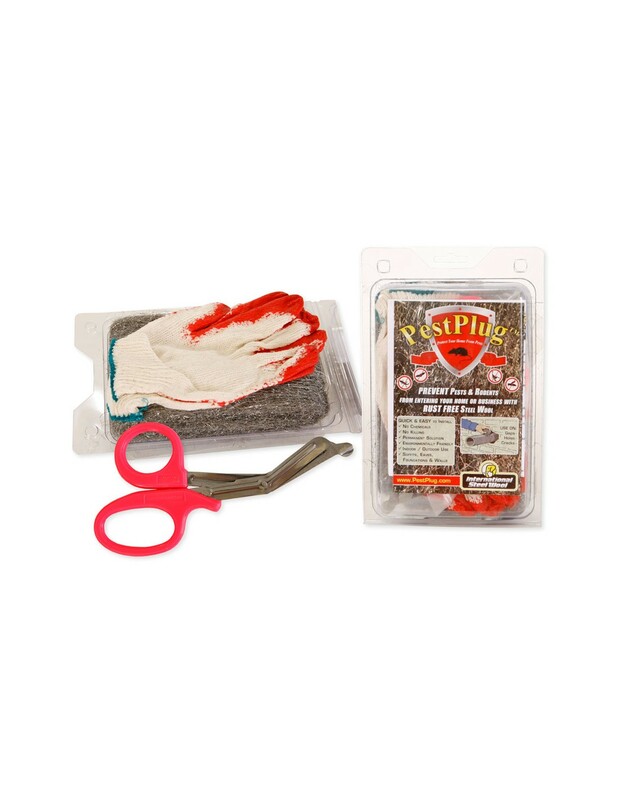 Works on: Rats, mice, wasps, bees, bats, birds, scorpions, and many more unwanted pests!